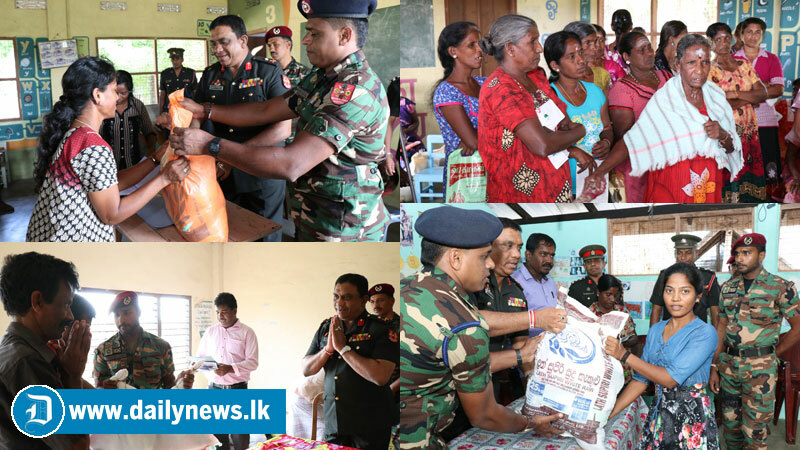 Another set of deserving families in the Jaffna Peninsula who were affected due to bad weather received Dry Ration Packs from Commander Security Force - Jaffna Major General Darshana Hettiarrachchi on 1st and 2nd January 2019. These ration packs were donated by the Chief Prelate of the Asgiri Chapter Most Venerable Warakagoda Sri Gnanarathana Trero. 335 families from Karaweddi, Kudarappu, Punithanagar, Chulipuram and Ariyalai in Jaffna received these donations. A large number of civilians participated the occasions held during the two days.